A grammar of the Sanscrit language : on a plan similar to that most commonly adopted in the learned languages of the West / by W. Yates. - 2nd ed., enlarged and improved. - Calcutta : Baptist Mission Press ; London : Allen, 1845. - xxi, 494 S.
लौकिकन्यायाञ्जलिः = A third handful of popular maxims current in Sanskrit literature / collected by G. A. Jacob. - तृतीयो भागः. - Bombay : Nirnaya-Sagar Press, 1904. 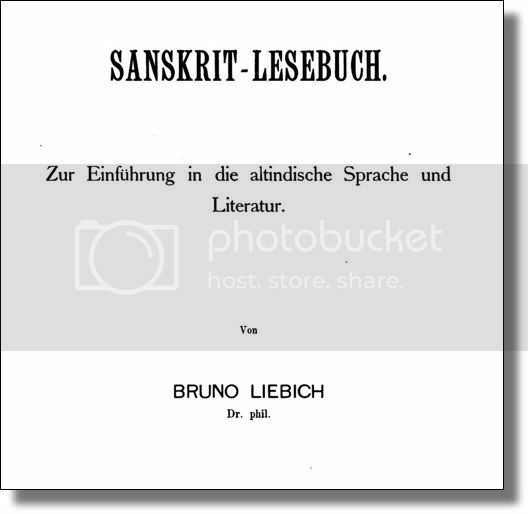 - vii, 155 S.
De studie van het Sanskrit in verband met ethnologie en klassieke philologie : Rede uitgesproken op 22 october 1906 ... als buitengewoon hoogleeraar aan de Rijks-Universiteit te Utrecht / door W. Caland. - Utrecht : Breijer, 1906. - 38 S.
लौकिकन्यायाञ्जलिः = A third handful of popular maxims current in Sanskrit literature / collected by G. A. Jacob. - 2. ed., rev. and enlarged. - तृतीयो भागः. - Bombay : Nirnaya-Sagar Press, 1911. - VI, 164 S.
लौकिकन्यायाञ्जलिः = A second handful of popular maxims current in Sanskrit literature / collected by G. A. Jacob. - 2. ed., rev. and enlarged. - द्वितीयो भागः. - Bombay : Nirnaya-Sagar Press, 1909. - VII, 90 S.
लौकिकन्यायाञ्जलिः = A handful of popular maxims current in Sanskrit literature / collected by G. A. Jacob. - 2. ed., rev. and enlarged. - प्रथमो भागः. - Bombay : Nirnaya-Sagara Press, 1907. 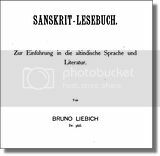 - XII, 54 S.
Sanskrit-Lesebuch : zur Einführung in die altindische Sprache und Literatur / von Bruno Liebich. - Leipzig : Lesebuchverlag, in Kommission bei Harrassowitz, 1905. - IX, 650 S.